I’m helping re-launch the LEaD writing group on the 8th February at City University and I am a little bit excited about running this group with my colleague Dom Pates. 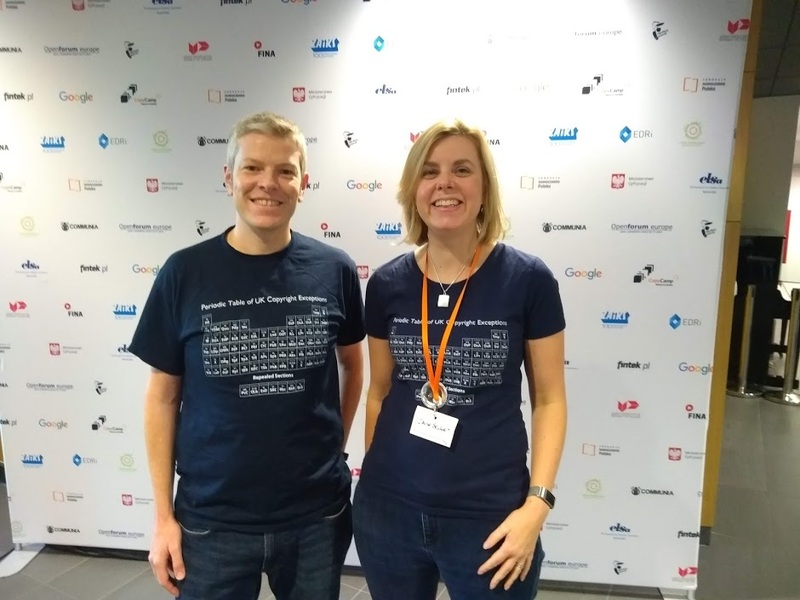 It turns out we have both been blogging for over 10 years, and we are both keen to support people who want some time and space (and maybe a bit of technical assistance with WordPress) to do some writing. Interestingly we are both looking forward to having the time and space to do some writing ourselves and may finally finish a draft blog post we’ve been working on for over 6 months now, on academics’ attitudes towards lecture recording. Despite doing a lot of it, I don’t think I am a particularly good writer, but I love writing, almost as much as I love talking. Sometimes I wonder if in fact I like writing more than talking, because I can go back and edit my often badly formed ramblings, which I don’t have the luxury of doing when I am speaking. Getting the right words in the right order is something that I think is really important, and it’s something than in my impatience to get a message out there, I often fall down on. It’s not that I say the wrong thing, or put my foot in it (not always!) I just often end up a little clumsy and inelegant the first time I try and get my words out. I don’t let it put me off, or slow me down or make me self conscious about what I am going to say. I think some people can spend far too much time working out what they want to say and speak in sentences that are both articulate and profound. But they have lost someone in the moment, by hesitating and not getting to the point quickly enough. The slow and cautious approach to communication is not me! There are of course some exceptions, such as when I prepare for a talk or a keynote, I need a plan, I need to spend a fair bit of time working out what I want to say, how best to express it and the order to try and convey my thoughts. I’ve even been known to write myself a script. But in every day life when we have to speaking off the cuff it is just not like that, but it doesn’t seem to have done me too much harm in my career. I have noticed there is a complex, maybe even symbiotic relationship between writing, speaking and editing and I wonder if the fact I have been writing on a computer now for well over 20 years has shaped my writing. My entire PhD was written on a now defunct old laptop, which weighed a ton and in fact rarely left my flat. I transported files between it and my desktop computer on floppy disks, not even CD-ROMs. Yes I really am that ancient. But I realised early on as a researcher that writing directly onto a computer seemed to feel like there was a more direct link between my thoughts and the words appearing on a page, than when I went back to writing by hand. I don’t buy all the articles that suggest there is something more real about handwriting. I lost the ability to capture my thoughts by hand a long time ago. Perhaps I spend too long editing and re-editing, as is the luxury of the computer screen, I don’t know? But I do know that when I start to type the words start to flow from my mind in a way that feels meaningful and powerful. I hope that the writing group will be an opportunity to share some of my experiences with colleagues who might want to write as part of their academic practice. Writing is for me an important way of reflecting on what I do, but it is also inextricably linked with thinking, and moving my ideas forward in ways that don’t always happen when I try and speak about them. Writing blogs posts is also liberating, because they are allowed to be partly formed thoughts and work in progress. However, if in writing a blog then people start following you and reading your posts, does it lead you to become more self-conscious and less likely in fact to write? It’s an interesting question and one I don’t know the answer to. I know I am writing far less on my own blog recently, and is that lack of time? Or is it the creeping fear that I need to only write when I have something profound to say? 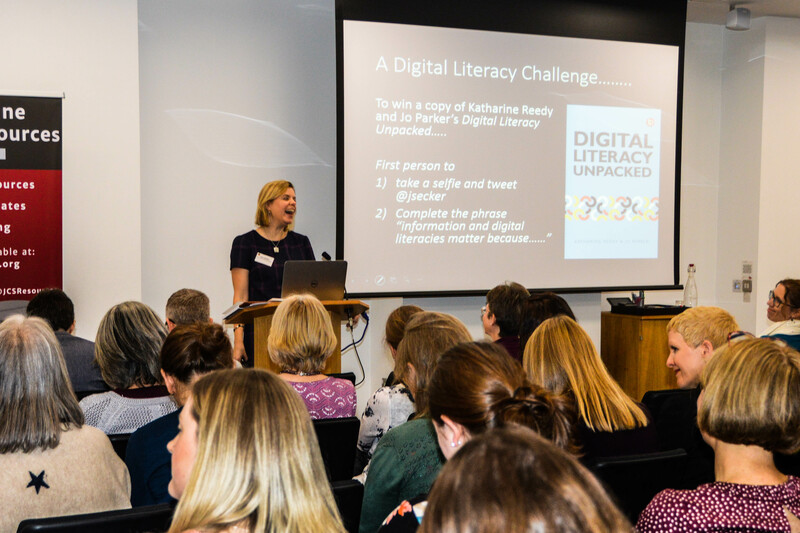 I don’t know but I am aware I now have several other outlets for my writing, including the Copyright Literacy blog, the Learning at City blog and the blog I created for my new module, Digital Literacies and Open Practice – perhaps one can have too many options? So in the interests of taking up the habit of writing on my own blog again, I’ll put this post out there and see what people think. And if you happen to work at City University of London and fancy coming along to the writing group, we’re re-launching on 8th February from 12-1pm in B310 and I will see if I can bring along some cake! Feeding the body is at least as important as feeding the mind through reading, writing and reflecting. Some days I feel very lucky, other days I think I am privileged and some days I just think I’m really tired and I have been working hard for a long time. Which is not to say a lot of people haven’t, but this last term for me was the culmination of a lot of intellectual effort, maybe more than normal. I finally got to teach a module about the stuff I love, my own module on digital literacy and open practice (or what I might call copyright and information literacy). I got to devise everything about it from scratch including the title of the course, the learning outcomes the assessment, the readings and all the teaching I would do. So I wanted to write a blog post about how this has gone, but in fact in reflecting on this term I realise I am partly reflecting on my experiences over the past 2 years of transformation, of identity crisis and of finding the things I love. It took me quite some time to realise I needed to make a change. I worked at LSE for 15 years and I reckon that might have been around 5 years too many. The change was prompted by realising I wasn’t happy with what I did 9-5 so was filling my days with a whole load of stuff I wanted to do, I felt unappreciated and that time was passing by and I was becoming more frustrated. It was the Aurora Programme that made me finally do something about making a change. We talked about our ambitions and values and it took me back to a time when I had made another decision. I clearly remember the day near the end of my PhD when I told some of my friends and colleagues I didn’t want to be an academic (yet). I was about 24 or 25 and I realised I had spent enough time at university and needed to do something different. People who know me well know that I often tend not to realise when I’ve done something for too long particularly if I am having a good time – I eat too much, talk too much, write too much. And when we do something for too long I think it makes the experience a bit less great and we stop learning. However, when I made that decision at 24 or 25 I didn’t mean I never wanted to be an academic. In my heart I always wanted to be a lecturer, I just didn’t want to do it then without some what I called ‘real life’ experience. And I remember saying, ‘by the time I’m 40 that’s what I’ll be doing’. Aurora made me remember this, and I also recall thinking to myself one day, that when asked by a stranger ‘what do you do for a living’ that nothing would give me greater joy than to be able to say ‘I’m a university lecturer’. And now I am, thanks largely to Aurora and to the wonderful opportunity at City University to join the Learning Enhancement and Development team. And now I have my own module teaching all the stuff I really care about and this term has been a wonderful combination of fabulous, terrifying, exhausting and inspiring. I felt I wanted to write a blog post about what I’d learnt teaching this module, but in fact I feel a bit like I’m still so wrapped up in it that I don’t know properly if I can reflect. I know I’ve worked really hard, preparing the reading list, devising all the teaching activities, offering webinars with guest speakers and opening those up to the wider world. I know I have some marking to look forward to next week. But I’m not yet sure what I’ve learnt about teaching Digital Literacies and Open Practice. I thought I’d try to write a few things down that struck me that might help me make sense of it. But the overwhelming feeling I have is how wonderful it’s been finding the things that I love actually mean something to other people. I have known for some time that what I did meant a lot to librarians, but becoming an academic in educational development means I have to teach people from all sorts of disciplines. And so I wondered, would they find the topic interesting? Would it resonate with them and would it hang together, or just be a weird perspective on the world that people would later call the ‘being Jane Secker’ phenomena? So what have I learnt so far? Don’t make assumptions about anyone: whether they are staff or students, whether they are experts or novices. You have to try and work stuff out together when you are teaching and learning. You have to be prepared to have your students teach you things, and to have to teach them things you didn’t expect to. I suppose that it was inevitable we’d get into copyright on the module and people might not know a lot about this, but we discussed a whole range of topics, from digital natives, to green and gold open access. From the value of frameworks and models to how to embed both digital literacies and openness into the curriculum. Technology can terrify some people including me: and don’t assume that people just get comfortable with using it just because they keep being exposed to it. My first assignment has involved getting the students to make a video and what a challenge I set them (and me!). From my own perspective I knew nothing about how to set up a video assignment in Moodle, where would people put these files? What exactly was I expecting from a video? Did they have to appear in it? So many questions including many of my own. And I also become hyper sensitive to whether I was using enough technology in the module, should I use Poll Everywhere or Mentimeter? Were post-its ok or would we be better with a Padlet to capture feedback. I constantly found myself making jokes as my own digital ineptitude which seemed to keep raising it’s head when I tried to get Dave White on a webinar or just switch from my laptop to the desktop computer. I had several experiences that led me to question my own digital capabilities but the trick is to have the confidence to carry on! Enthusiasm and passion can get you a long way but it’s not going to change the world, you basically have to get people to see the relevance of what you are doing to them, so they become agents of their own change. I had a sneaky quick peak at my module evaluation last week and it looks really positive. I saw several mentions of how enthusiastic I am as a teacher. I really hope that is the case, but I know that that won’t be enough. I need to ensure that people taking the module actually find things that resonate with them if they are going to make changes to their teaching practices. I can’t be there every week enthusing them, they need to take what they’ve learnt and embed it into their discipline and ways of working. I think positive feedback is always great, but it will be fantastic to try and measure the impact of what people have learnt down the line. 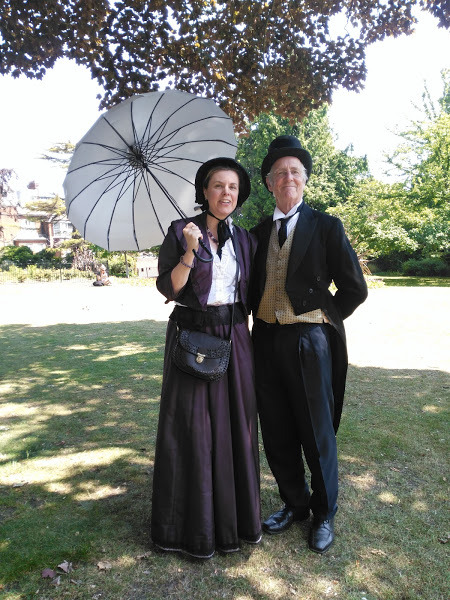 And just in case you wonder, the picture is me in my Victorian dress, that I don’t use to teach people about open practice, but I do use where I lead them on historical walks – another passion of mine! What I’ve learnt from doing that is being passionate and enthusiastic is great, but it’s no substitution for actually having accurate historical details! The Publishing Trap and other games have got a real value in academic practice – that’s not to say it didn’t before, but the best part of the course for me was taking all the things I love and seeing them work in my teaching. 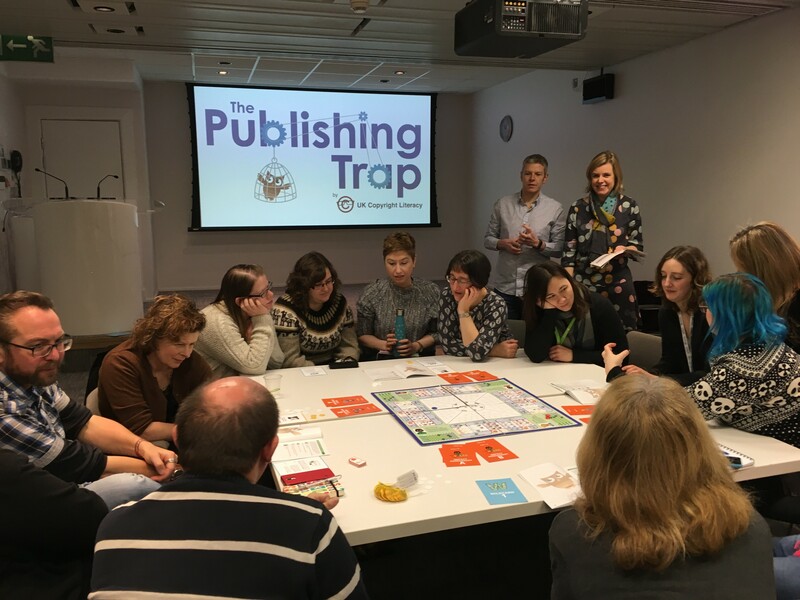 And on the final afternoon when everyone played the Publishing Trap and really enjoyed it, I felt all my hard work was worth it. That game is mine and Chris’s greatest creation in many ways, but I’ve also felt it like a millstone round my neck as well. I love it and hate it in equal measures! I love it’s a game of life and I love the characters (particularly dear Brian the microbiologist with a big beard and an allotment). But I hate how complicated it is (but then so is academic life) and how people have nit picked about certain aspects of the game that aren’t quite like real life. Playing it last week with everyone as the culmination of the module, and having them really enjoy it, was just wonderful though. And I am delighted to report that Brian came joint first and Mary made it to NASA! Be grateful for your friends and colleagues – I guess the key thing with teaching this module was that I didn’t do it on my own. I’ve had the wonderful support of my academic team mate, Ali Press throughout. Sense checking my ideas, helping me create a wonderful glossary tool and just being there to support me. I’ve had my colleague Ruth who actually has had the patience to take my module (brave soul) and made such an excellent contribution throughout as a participant. I’ve had the amazing group of guest webinar presenters who joined me, you can see the full list of speakers on the blog, but special thanks to Chris who not only presented a webinar but tuned in to almost all of them. And they are not over yet as there is my final webinar on 11th January with Catherine Cronin. And finally colleagues from the City Educational Technology team who helped with day two of the module with DIY video production (and particularly thanks to Peter and James who have taken the module!) and Stephen and Lenka from the library who joined me on day 1 and day 2 respectively to provide a perspective on copyright and open access. It’s been quite amazing how willing people have been to help and support me. And I am particularly grateful to Virginia Rodes at the University of the Republic in Montevideo, Uruguay who gave me the opportunity to teach a version of this course in August and the wonderful students that I met during my 10 days in what was a magical country. So as we reach the point in the year when I need to spend a lot of time asleep, overall I’ve learnt that I can make things happen, with a lot of hard work and a little help from my friends. And that there is a real place for a module of this nature in academia. So roll on 2019! I really hope I get to present about the module at OER19 in Galway in April (still waiting to hear about my proposal) but there are plenty of events lining up for next year’s tour. Now I just need to get Chris to design us next year’s tour t-shirt!! 1) Find the right supervisors. I say that because I had 2 supervisors which at the time was relatively uncommon. But it meant I had two perspectives on my work and two experts in their own field which I think helped me work in an interdisciplinary way, but meant I could take advantage of their respective strengths. Supervisors are so important as they guide and support you and having two of them really worked well for me. It also really helped that they were in different departments and really did have quite different specialisms. They both helped me in different ways as I learnt to write about my ideas and refine my thinking. 2)Become part of an inter-disciplinary community. 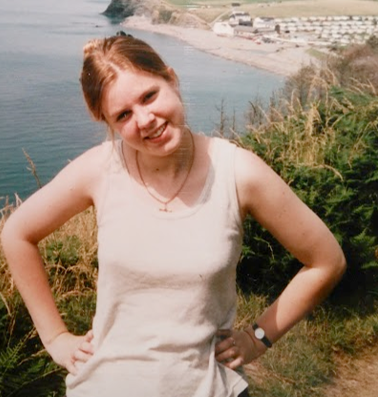 The year I started my research my university (Aberystwyth) had decided to invest in PhD studentships across all departments. Not only did it mean I got some money to live on and to pay my fees but it meant there was around 100 people in my year all starting our research together. We were effectively a cohort who together became a community of researchers. I was a founder member of the Postgraduate Association and we had an excellent Dean of Graduate Studies who was keen to support research students. We organised social events (cheese and wine related usually) and held regular meetings to discuss any issues people were having. We were lucky to get support from the Guild of Students and our Dean gave us a small budget. What is meant for me though was I didn’t ever feel alone. 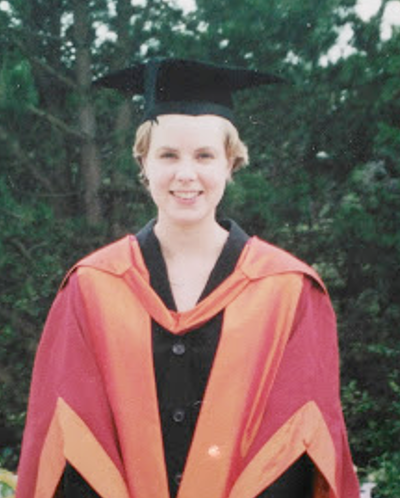 Yes I was the only one studying my strange little topic on historians and newspapers, but I had the support of my friends who were doing PhDs in astrophysics, maths, geography, history, international politics and all sorts of other weird and wonderful subjects. We shared our experiences of the progress we were making, of the issues were were having with our supervisors or with our families (who clearly thought we were all slightly bonkers) and it motivated me and made the experience rewarding on a personal basis. 3) Get some research training. While I may not have appreciated all aspects of the research training course I did in my first year I was effectively taught for the whole year and the course covered all the main social science research methods. Not only did it give me an excellent grounding in theoretical frameworks and research methods it meant I met researchers from all different departments across the university. We learnt qualitative and quantitative methods and analysis, philosophy of social sciences and much more. The course was compulsory for anyone in the Faculty of Social Sciences and it had been devised in response to guidelines from the ESRC, but it was really ahead of it’s time. And even today I still an amazed at how few universities have such an extensive programme. My experiences working in research support in the years since then showed that treating doctoral students as people who might understand all their needs is fundamentally flawed. If you had given me the option of not taking that course, I suspect the confident, know it all I was back then would have decided to opt out. But I’m glad that wasn’t possible and passing that course was an essential part of progressing to my second year, but also made me the researcher I am today. 4) Become part of an academic department. 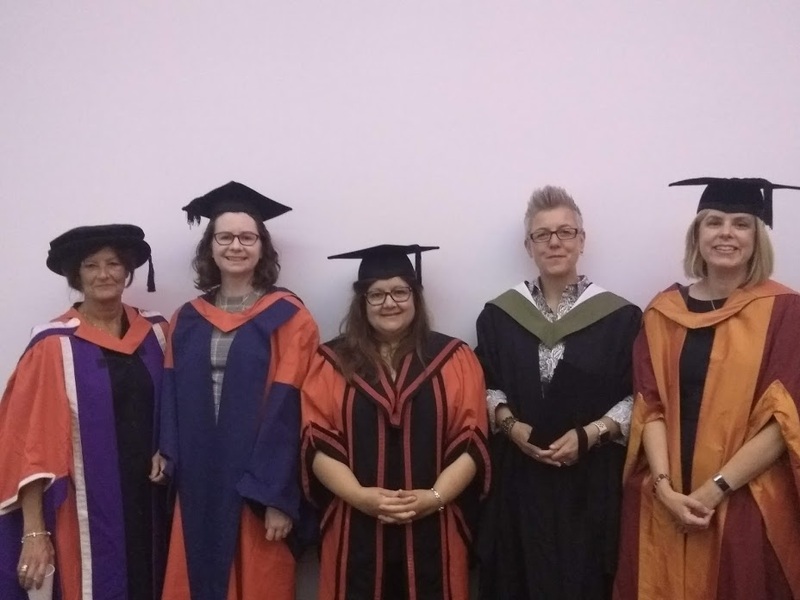 In addition to being part of a wider community of researchers across the university one of my departments had an excellent ethos in the way it treated doctoral students. We were given shared office space on the same corridor as the academic staff, we were allowed to use the staff room and we had many of the privileges of staff. It really felt like an apprentice scheme in being an academic and it was amazing how such little things, such as being able to go into the staff room, made a real difference to how you felt about your identity. We had regular research seminars where we were encouraged to present our ideas and get feedback from our peers and colleagues from across the department showed an interest in my research. 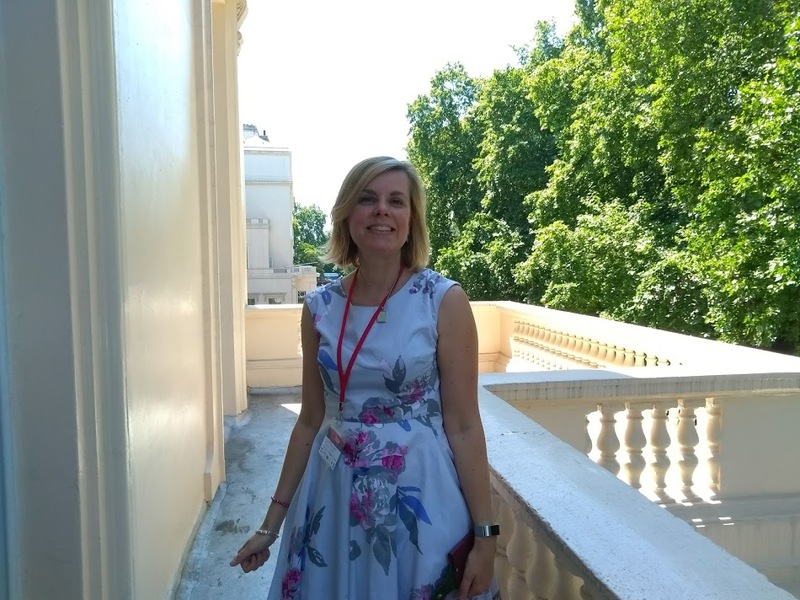 It gave me the confidence to submit a paper for an academic conference in my third year, and attending that event at the University of Westminster proved to be a pivotal moment for me. 5) Take the opportunity to teach. Teaching wasn’t really something I had considered before becoming a doctoral student, but it was also something I didn’t have much choice in doing, because I needed the money. I was in fact awarded half a studentship from the university which meant without teaching to earn some extra money, I would have been pretty poor. I can remember being terrified about what I would be expected to do, how I would answer students questions, having to teach subjects I had barely understood as an undergraduate (Dialog and Datastar searching!) But as the time went on I realised teaching was actually fun. I could often get by when a student was struggling by asking them lots of questions and actually reading the handouts the lecturers had prepared (I realised how few students seemed to be able to read and follow a help sheet when doing any form of computer practical!) And I got to chat to the students and learnt so much myself during my time as what we called a ‘computer demonstrator’. I sometimes wonder now if I really was a teacher, but what I know is that I had found something I enjoyed, that gave me a source of income and students seemed to like me. 6) Write from the start. Since doing a research supervision course last year I learnt that factors for success with doctoral students are many, but one thing sets many students apart and makes them far more likely to complete. That is the student who writes from the start. I was encouraged to do this by both my supervisors, but I also remember early on in a meeting them being surprised at the volume I had written. It’s quality Jane not quantity they said, but I often feel I have to get the words out my head and onto paper to start to make sense of what I might be thinking. This was effectively what I spent the 3 and half years of my doctoral work doing, writing and writing and re-writing and re-drafting until finally some of it started to make sense. There are loads of other factors that contribute towards success, but this for me was critical and is something that has stayed with me always. I write so I can think and in writing it helps my thinking, which in turn improves my writing. It’s not perfect, but I’ve never let that stop me. I don’t always write things grammatical correct, but it all comes out in the wash in the end and that’s what proof readers and critical friends are for after all! 7) Avoid perfectionism. Few people who know me would say I was a perfectionist. I work hard, but I also have a sense often of the effort needed to make something perfect, which can be far greater than the time that is available. So I have never been afraid to hand in a first draft, knowing it’s not great. Or to ask someone for help with redrafting a paper that I just can’t get right. Perfectionists don’t finish PhDs. What you do has to be good, you have to work hard and put in the hours, when you are collecting and analysing your data, when you are searching the literature and when you are drawing it together into some sort of conclusion. But no one expects perfection. Do your best, in the time you have available, but be willing to put your work and ideas out there to get feedback on them. It’s the only way to learn. 8) Have a hobby. You can’t spend your whole life working on your PhD for 3-4 years. It will feel like that is what you are doing but you need to take time out. I effectively treated it like a job. I worked 9-5 (or in my case more like 10-6). But then I went to the sports centre and did aerobics classes, and went out walking in the hills at the weekend, and socialised. I also did a lot of cooking and learnt to make jam. I didn’t work endlessly into the night (except perhaps right at the end) and I even went on a couple of holidays. 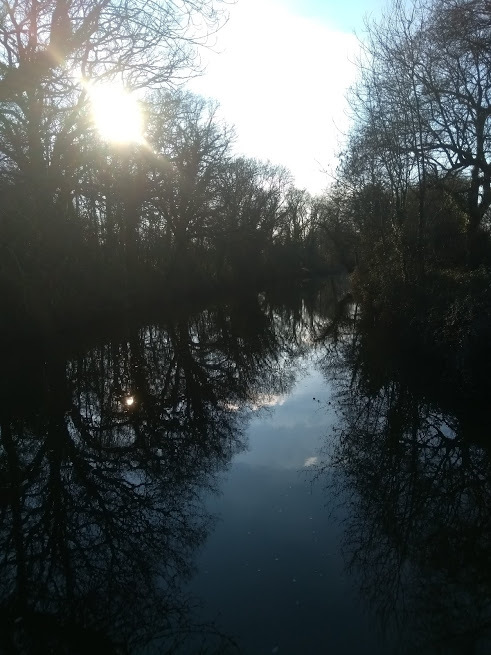 Yes you feel guilty the whole time you are not working on the thesis, but you have to do other stuff and for me cycling and aerobics and making the most of the beautiful West Wales countryside at the weekend were the way I survived my PhD. I do realise I was very focused during this period of my life. From 1995-1999 there are very few TV series I watched. I did go to the cinema still but I didn’t listen to a lot of music – I have huge gaps in my cultural references because I was immersed in my own world of academia (I never watched a single episode of Friends). I threw myself into my research, to such an extent that it’s painful sometimes to go back to it. Since my thesis has been digitised and made available online I have cringed a lot at my writing style. I’ve wondered why I was so enthralled with the topic. But I have never, ever regretted it for a moment. It set me on the path I am on now and has instilled in me a love of research, a curiosity that I hope never leaves me. A desire to ask questions, to present at conferences, to write papers and hopefully one day soon to start supervising some PhD students of my own! Thanks to Emma Wilson, for inspiring me to write this piece. I hope she finds it useful after our recent discussions. 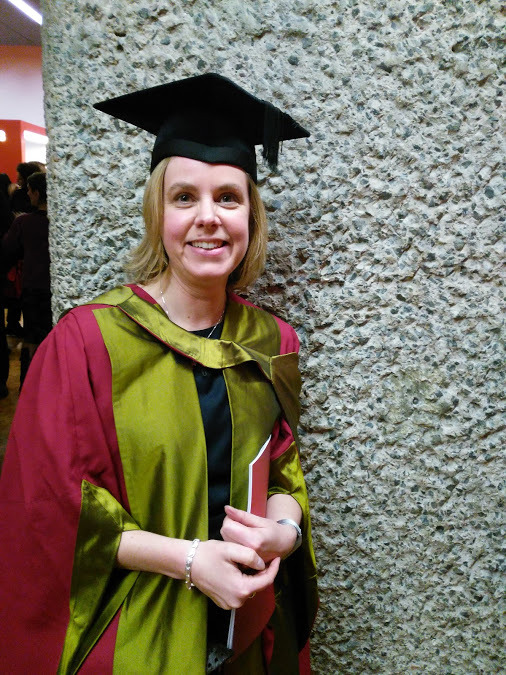 I’d love to hear from others about what doing a doctorate meant to them and how it might have contributed to who they are. A doctorate gives you many things, but it also sets you apart from people, such as making your family think you are strange or terribly clever. That can be both a blessing and a curse! But I say to anyone thinking about doing a PhD, find the right topic, the right supervisors and plenty of support and then do it. You won’t look back and remember life’s a journey so don’t forget to enjoy the ride! In just over 2 weeks time I will be boarding a plane to Uruguay in South America to teach for a week in the Department of Information and Communication at the Universidad de la República in Montevideo. I have planned a week of teaching which focuses on copyright literacy, open practices and broader issues related to online learning and digital literacies. I’m excited and nervous as it’s my first time in South America. I’m pretty well travelled around Europe, the US, New Zealand and spent a week teaching in Singapore and Malaysia a couple of years ago for the University of London, so I know what it’s like to be jet lagged and committed to teaching! However, as all my students will speak Spanish, I’m hoping that the workshops and classes go well and I at least come back knowing the Spanish for copyright literacy! I’m also very excited as there are plans to translate several of my and Chris’s educational resources including Copyright the Card Game and the Publishing Trap into Spanish! Here’s some information (in Spanish) posted recently by the Department about my visit. So how did I come to be doing this (yes I do ask myself this sometimes as well!) Well I met Professor Virginia Rodes last year at the OER17 conference in London. I was presenting about the research Chris and I had recently completed on lecture recording, copyright and IP policies in UK universities. It was the day after my leaving party at LSE and probably not my finest moment, but it just goes to show that you never know where life might lead you! And it’s just about possible to present at a conference coherently when you are a little hungover! 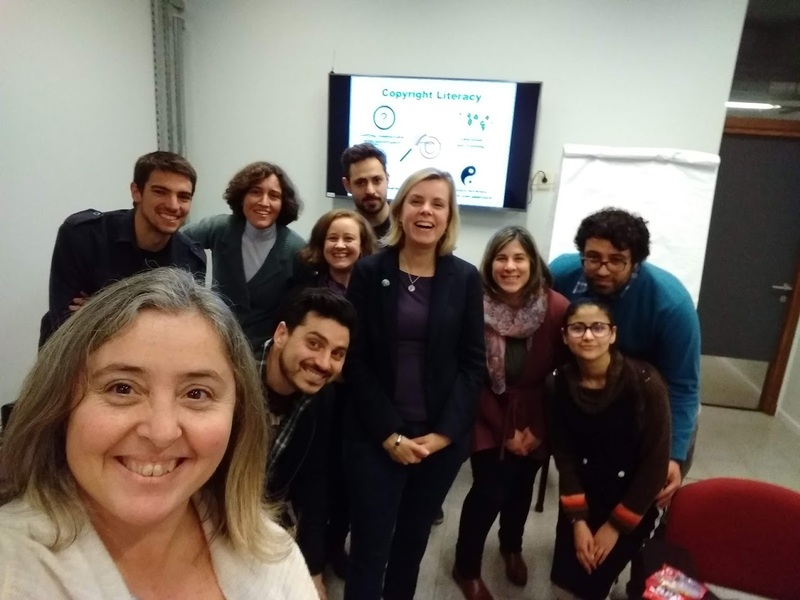 I attended Virginia’s presentation about open education and copyright reform that was being undertaken in Uruguay to introduce exceptions into their law for libraries and education. I spoke to her at the end of the session and I clearly remember her saying to me ‘you must come to Uruguay’ – well little did I know! Apparently in Uruguay they don’t have copyright exceptions for education and libraries at the moment, and IFLA have been doing work to lobby for this for some time. So what else will I do while I am in Uruguay? I’m also scheduled to give a keynote at a conference being held at the university, called ‘Copyright, E-learning and Digital Literacy’. I hope to meet lots of people while I am there, including librarians, copyright reform activists and others. I’ve notice I am in good company, a few weeks after my trip Martin Dougiamas the creator of Moodle, will be visiting the university as well. I also hope to see something of the country – Virginia is offering to take me to a few places and I hope I have some time for sightseeing between the lectures and conference! It looks like a fabulous country and I have been reading up on fascinating facts about Uruguay ahead of my trip thanks to a helpful link Stephane Goldstein sent me! So go me, I’ve still got this travel bug and this time it’s taking me to South America! Wish me luck! May is my favourite month of the year. 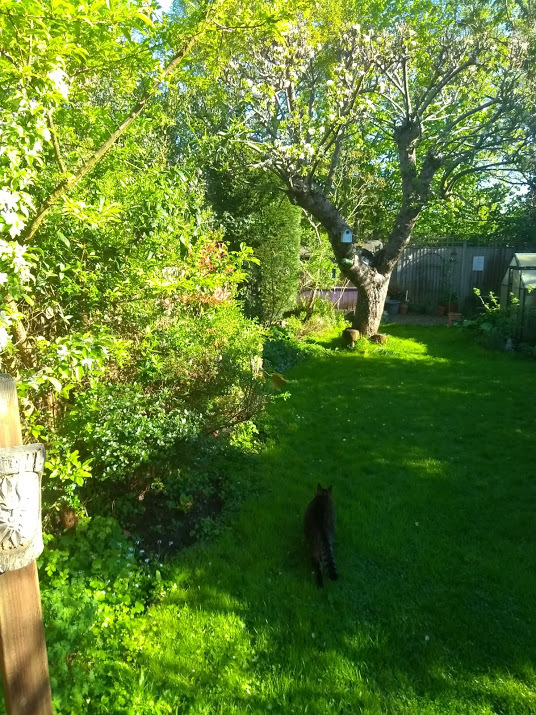 I have been telling everyone this recently and when they ask why I say it’s because of the light, and the very specific shade of green that is in my garden and in Northampton Square when I look out my office window at City University. I love the fact the days are getting longer and it’s getting warmer. I also feel there are so many exciting things coming up to look forward to, including kicking off the Copyright Literacy tour next week by heading down to Dartington Hall for the DARTS conference. The week after that I’m off to Strasbourg, then to Dublin, then to Berlin! It’s all go and that is only half of it. My mood lifting is probably also helped by the fact I finished my Copyright X course, the 12 week online course I did at Harvard Law School. It culminated in a 96 hour take home exam 2 weekends ago and ever since I finished it I can’t believe how much lighter I feel! Studying the course was fantastic but it was also really hard work, which isn’t surprising I guess. And I have a month or so to wait until I find out if I passed. Ask me about US copyright law some time, I’d love to talk about Fair Use and some of the underlying philosophies of copyright and IP! Last week also saw the launch of the podcast I recorded back in January with Jo Wood, for the Librarians with Lives series. I had been looking forward to (and slightly dreading) listening to it again and hoping I said a few things that made sense. So far a few people have told me they liked it and I really enjoyed Jo’s style of questions, which were both serious and light hearted – I suspect quite a few of them didn’t get to the bit about flip flops and Indiana Jones! 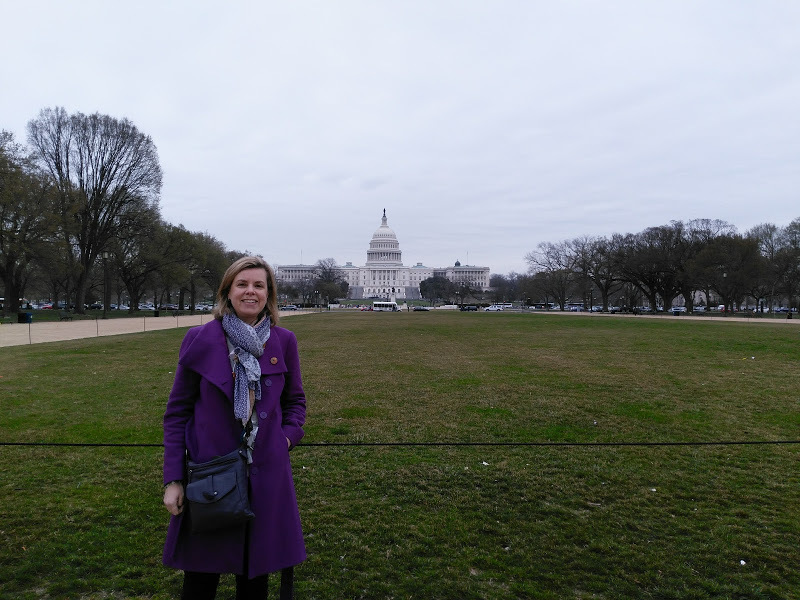 It turned out to be good timing as it came out the day after a blog post I wrote for the ILG blog, on my role as Chair, saving the world and rewriting the CILIP definition of Information Literacy. And I’d spoken at CILIP on Monday, which led to some fantastic tweets about the new definition doing the rounds. There is lots to look forward to, and lots to do. In some ways I want to bottle this month though, it’s a beautiful time of year. My greenhouse is full of seedlings and as everything breaks into bloom I’m waking up early, doing my mediation and feel I have a lot to be grateful for. What do I do with my ‘free’ time? Since I started work at City last April I now work 3 days a week and you may ask what I do on my days off. In fact I seem to be busier than ever but I actually spend the vast amount of time doing things that mean a lot to me and so my days off never feel like work, even if I am very busy. It’s the Japanese concept of ikigai for me, I feel like I have found a purpose! And the relevance of the owls? 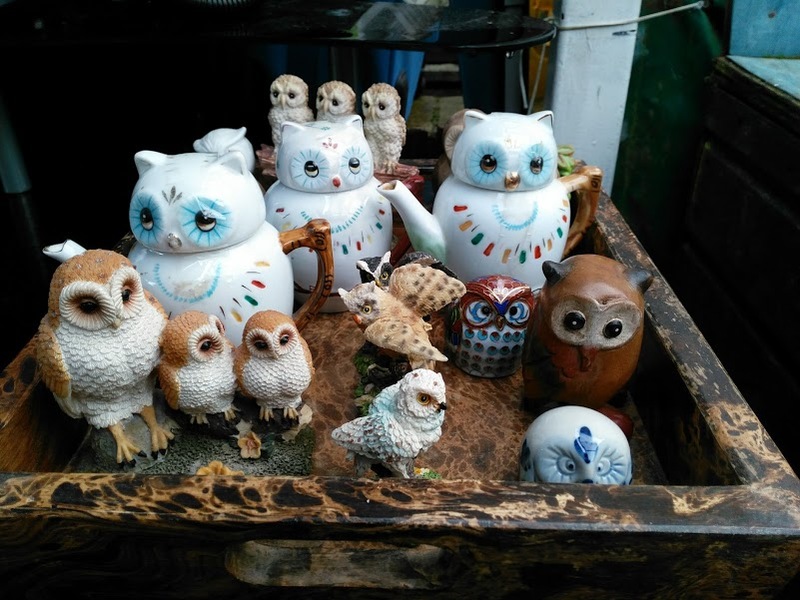 Well owls symbolise knowledge and I like them and so here’s a collection of them I found when helping out at a local rummage sale recently because I feel a bit like I am collecting owls at the moment! 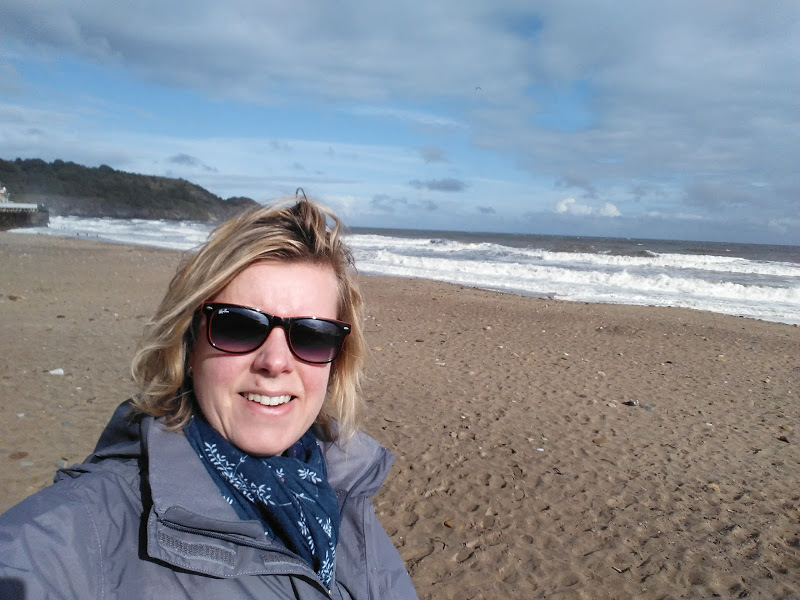 However I thought I would write a post about the sorts of things I do in my ‘free’ time, if only to reflect on whether I am focusing on the things that really do matter, so here goes…. 1) CILIP Information Literacy Group – chairing the group takes up a fair amount of my time. I’ve been busy this week as we had a committee meeting, the last one before Lilac which is always exciting and a little fraught, with last minute teething problems. I saw Nick Poole in the morning to discuss the plans for the launch of the new CILIP definition of IL and ideas for a future campaign to mainstream the concept. It’s taken us over a year to get to this stage, but I am really excited about launching the new definition at LILAC. I have also been getting things ready for TeenTech – ILG will be judging the Research and Information Literacy award for the fourth year running at the Royal Society in June and I need to line up judges for the entries from students and coordinate who is going to attend the awards. 2) Planning for Icepops – this is a new one day conference on copyright education I’m chairing with Chris and it is currently taking up a fair amount of my time to ensure all the delegates are booked, to prepare the joining instructions and to get the catering and evening venue sorted. I’ve also been checking in with our keynotes and wrestling with the new CILIP events booking system. 3) Reviewing feedback and planning for events – for example I got feedback from some recent training I ran with Chris in Salford for NoWAL last week. And for CPD25 last month. I’m always keen to see what people liked and disliked to improve what I do. I now offer a range of courses on copyright and copyright education for organisations and other educational institutions. I really enjoy teaching so this has been something I can do a bit more of now I’ve got more time. I’m also planning a masterclass on information literacy at LILAC for a few weeks time and another on running copyright literacy training. 4) Keeping the Copyright Literacy train rolling – from translating Copyright the Card Game into Welsh (admittedly I didn’t actually do the translation but I have dropped all the text into our template) to running some showcase sessions for the Publishing Trap, this work keeps me busy. We’ve got a steady line up of guest posts so I put those up on the blog, liaise with potential authors and write a few posts of my own. I also tend to spend some time on twitter. Our UKCopyrightLit account has over 1000 followers so I look for relevant copyright education stories. 5) Writing – I’ve just finished an article for Information Professional on the Publishing Trap, another for the Catalogue and Index journal on librarians as researchers. I’m also working on a chapter on licensing for the Copyright Cortex with Chris and a Palgrave pocket study skills guide with Emma. I love writing and I particularly like writing with other people who always improve my grammar and prose! 6) Chatting to people – I love meeting new people with common interests to me and last week I had a long chat with another RSA Fellow who is a retired art teacher looking to develop an educational resource and wanting to talk about copyright and images. This week I spoke with Joyce Martin at JCS Online about her plans for a digital literacy conference for school librarians and teachers. She’s invited me to keynote and I’m excited about this event as it will reach people who don’t traditionally come to conferences like LILAC. 7) Studying – I’m currently taking a course at Harvard Law School called CopyrightX and so I spend some time doing my reading, watching the video lectures and preparing for my weekly webinars. It’s a fantastic course and Professor Terry Fisher has all his video lectures on a You Tube channel – here’s the first one if you want a taster. 8) Work for the UUK Copyright Negotiation and Advisory Committee – I’m on several subgroups as well as the main negotiation group with CLA. Printed sheet music is an area we are currently looking at, as well as working with CLA on the data we obtain from universities about scanning. I’ve got a couple of meetings coming up before and after Easter. I also sometimes go to the Intellectual Property Office (IPO) such as a few weeks ago when I went along with a delegation from LACA (which I’m also a member of). And in April I’ll go to my first meeting of the IPOs Copyright Advisory Panel which is a governance group of the IPO mainly made up of people from the creative industries and I’ve recently been elected to be a member representing the education sector, and I am really excited about this opportunity. 9) Supporting LIS students – I’ve given a few lectures for library school students recently on information literacy and copyright. We played Copyright the Card Game at City a couple of weeks ago with students. I was also delighted to work with Pam McKinney at the ischool in Sheffield to judge this year’s student award for a place at LILAC. 10) Going to the gym! Sometimes I get time out of my days off to do a lunchtime gym class. I’ve always found it vital to stay active and going to gym classes forces me to take a break whether it’s pilates, yoga or more energetic things like Body Pump, Combat or Body Attack! It’s all great stuff, I still need to spend more time in my garden and away from the computer, but that’s what weekends are for! I’m looking forward to lots more travel as well this year, with trips coming up to Liverpool, the DARTS conference, Strasbourg, Berlin and later in August to Uruguay! More about that in another post though. I have been writing the Copyright Literacy review of 2017 and it amazed me how much fabulous work I’ve done with Chris as part of UK Copyright Literacy. Two people working together can do far more work than two individuals faffing about on their own. Updating and launching v2.0 of Copyright the Card Game and co-creating our ‘academic game of life’ The Publishing Trap has been fantastic. However, what I’ve discovered this year is that what I do on my own is also important and like everyone, I have to keep trying to work out what matters to me and be better at what I do. This year has been a journey, a time of change, but it has also been a year of trying to be authentic, ‘braving the wilderness‘ (I now work 3 days a week!) and make a difference myself. Travel: I’ve always loved to travel, whether in the UK or abroad. But my trips away specifically those on my own have been important this year: to the USA for ACRL in Baltimore (did I mention it before?) to Latvia with the British Council, to Llandudno for CILIP Wales, to OER 17 with a terrible hangover, where I almost missed my presentation slot. Travel broadens the mind, but travelling on my own has been good for me. To visit places, to enjoy time on my own, to be open to meeting new people and having new experiences. In Latvia I went to my first opera. In the US I went to the Library of Congress. I realise I love travelling, particularly by train – I just need to learn to pack more lightly! My work for the CILIP Information Literacy Group: I am entering my third year as Chair of the group, we continue to be involved in TeenTech, we have been busy creating a new definition of information literacy, building a strong committee, creating a new brand for the group, launching a new website and a overall creating a united team between ILG and LILAC. 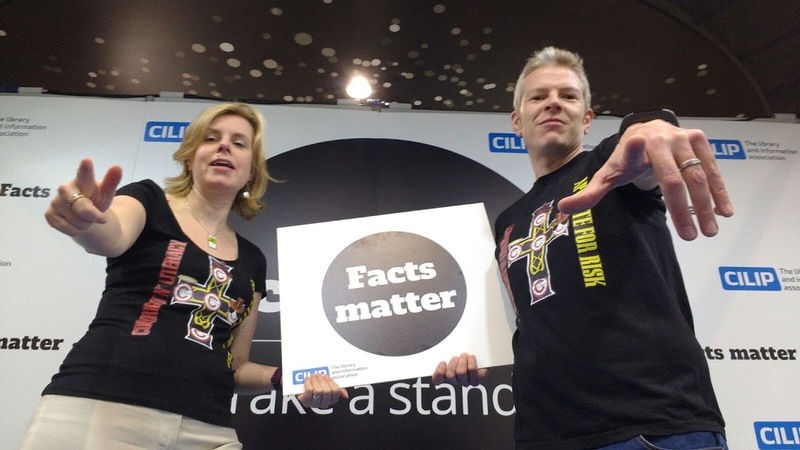 I’ve also been building a relationship with CILIP over campaigns like ‘facts matter’ and realise there is still a lot to do on all fronts. But this is my plan for 2018, to continue to build a strong team and advocate for information literacy everywhere I can. 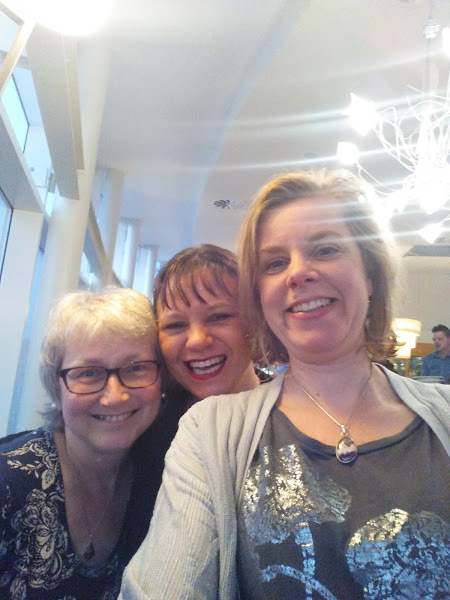 Personal and professional development: completing Aurora, the women’s leadership programme, in March made me realise that personal and professional development are completely linked. Aurora was a fantastic experience and I have spoken about it a few times since and encouraged women I know to do the course – I was particularly pleased that LSE opened up the number of places after my endorsement of the programme. I’ve also tried to add more of ‘me’ into my talks which is partly through discovering the work of Brene Brown on shame and vulnerability. Brene says that vulnerability is the key to connections with others and wholehearted living, but it doesn’t stop us feeling fear. Through reading Brene’s work (and other similar writers) I realise I need to keep getting out there and going into the arena and showing up and learning to have courageous conversations. It’s all about trying to be authentic which will probably always make me feel a bit uncomfortable, which is the reason why I need to keep working on it. Discovering mindfulness, which is about noticing when the mind drifts, trying to develop greater awareness and trying to be in the present moment, trying to still the ‘monkey mind.’ But also learning we are not our thoughts and emotions and we can’t always control them. And trying to practice my meditations but not beating myself up when I don’t have time or manage to always be mindful. I’ve completed two courses on mindfulness and also realised it has some really valid links to teaching and pedagogy, and information literacy. Again, it’s the realisation that personal and professional development often overlap. Leaving LSE, not being a copyright person and having to build up a new identity and a new network at City University. I have now have School-wide responsibilities for departments such as Music, Journalism, English and a wealth of social sciences. Learning about how people teach in these subjects and how I might be able to help them has been massively rewarding and scary. But I’ve really seen how not being a copyright officer is liberating, but also often leads me to have conversations that return to it in some shape or form. And it’s amazing how many times I find myself telling people I was the Copyright Advisor at LSE for 15 years and watch their eyes widen! 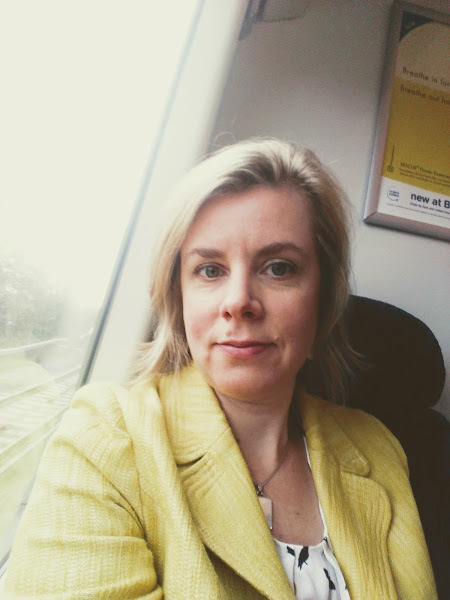 My fantastic new job – I finally feel I have found my place, being able to say I am a Senior Lecturer in Educational Development is amazing and I realise I love to teach people about teaching more than anything. I love watching people teaching others, trying to find ways of engaging students with a discipline. Trying to convey their passion for a subject to others. And realising this is one of the most challenging things you can do, it makes you vulnerable if you do it properly and yet it’s the way you learn and develop. And at times it’s been exhausting and I’ve felt under scrutiny about the way I teach and whether I’m modelling good practice (or using the right verbs in my learning outcomes!). Because as much as every teacher, I want my students to learn but I want them to like me too. Friendship: which comes in so many shapes and forms and how people can help us in so many different ways. But also to cherish those people, as they won’t be there forever. 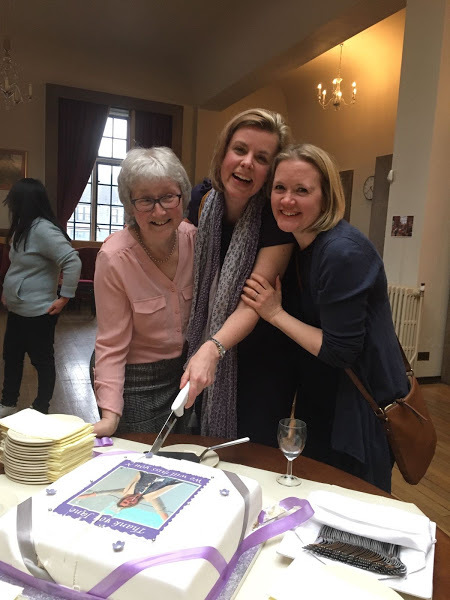 Losing a friend, and Deputy Chair of ILG Rowena was a shock in October and this year has been marked with sadness. People come into your life, people can leave, people can change and so can you but friends and family are so important. And when I feel down I think of my little nephew Henry with his cheeky little smile and the world doesn’t seem so bad. But I want to thank all my friends for their support this year, new friends (Ruth, Sheila), friends I’ve known a while now (Chris, Emma, Lisa, Louise) and those who’ve just been kicking about forever, but I promise I don’t take for granted (Sue, Maria, Sarah, Caroline, Ellie the list goes on and in mentioning anyone I feel I have inevitably forgotten many people). Developing a business: thinking hard about my talent and reputation, getting people to pay me for my expertise, which is something I struggle with because I wonder if I am worthy enough? But also asking what should I charge people for and what should be given away freely because it’s something I just want to do and because I have a level of privilege that means I can help others. And I’m so grateful to Lisa for all her support and help on the business side of things and working with me and Chris on one of the most fun projects you can have about copyright! Writing: I’ve continued to write loads of things with Chris, we’ve had reports, articles, conference papers published many of which are listed on our website. We have a chapter coming out in a new Routledge book early next year. But getting a proposal accepted by Palgrave to write a ‘Pocket guide’ book on information literacy for students with Emma, is very exciting. It’s going to be a different format to what I’m used to, and it uses cartoons and illustrations. It should be fun! Fun, games and play: that’s been another part of the year realising that I really like playful and creative approaches to most things in life. It’s partly why I have really taken to leading historical walking tours in my spare time. It’s a bit like acting (which I am dreadful at!) combined with teaching and a bit of showing off. Life has been too serious for a long time and I like laughing and using humour as an approach to helping people learn and engage with me. I’m so very proud of the Publishing Trap, but I feel this is just the start of more games and creative approaches to education. I just know how much work this will be, but that is good, because when it’s something you love, it’s not work. Wow what a year, it’s no wonder I feel tired, but not everything always goes to plan – turning up at a conference and almost missing my presentation slot was a personal low as well as almost missing the ILG AGM due to a lost pair of sunglasses! I found at times I had definitely taken on too much work, with multiple crashing deadlines towards the end of the year leading me to work far too late into the night (and test some people’s patience with me to the limit). I have to get better at saying no to things that don’t matter to me, at delegating (when I have someone to delegate to!) or working smarter, so setting up apps and reminders that mean I always know what I’m up to. Wunderlist has tried to keep me on track and more of my tricks and tips were included in the chapter (I rather rashly) agreed to write for David Hopkins in his EdTech Rations book. I can’t promise I’ll be perfect in 2018, I am sure I will still take on too much, and have plenty of failures or times when I just don’t live up to my expectations of myself. But I know with some fantastic friends and colleagues around me and with techniques like mindfulness, next year is going to be a great fun! Epilogue: what about Trump and Brexit? Are universities finally waking up to the value of copyright? Liberating data: how libraries and librarians can help researchers with text and data mining.